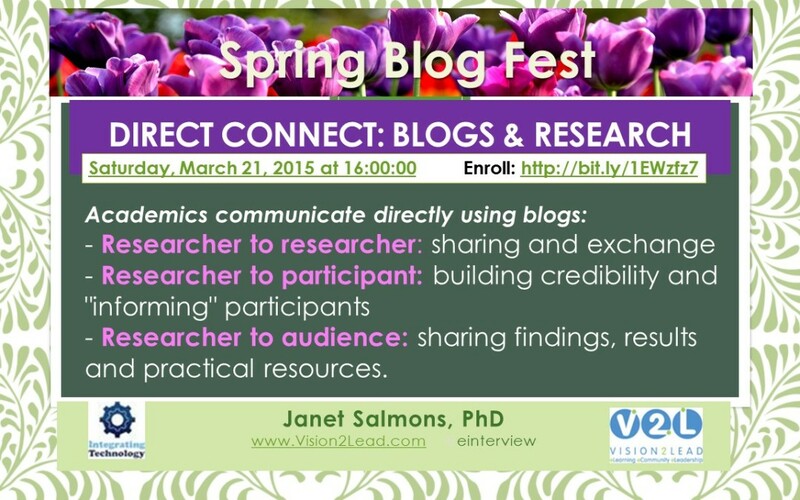 I presented “Direct Connect: Blogs & Research,” a webinar as part of the IT4ALL free Spring Blog Fest @ITforALL. You can view the presentation here. Specific to the research project and taken offline when project is completed. No examples available.